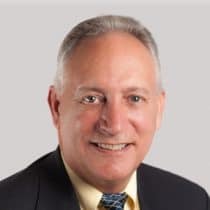 Vic Knight is a NC licensed real estate Broker, a NC Certified Residential/Commercial Appraiser, Past-President of the NC Association of REALTORS®, a Past-Chair of the National Association of REALTORS® Appraisal Committee, and a past member of the Board of Trustees of The Appraisal Foundation. Vic was a Governors appointee to the NC Real Estate Commission for 8 years and served as its Chairman from 2013 thru 2014. Vic’s 30+ years in the real estate business includes owning and managing a Century 21 residential brokerage firm, extensive residential and commercial development, residential property management and currently is owner of Appraizr.com, a real estate consulting and full service residential and commercial real estate appraisal firm.